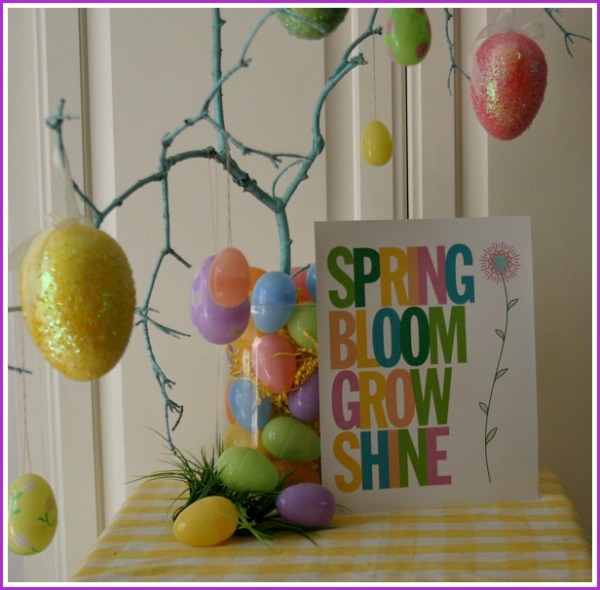 We had a blast sharing some fun Spring Ideas with four fabulous blogs. Today Charlotte from The Paper Cupcake designed these adorable printables. 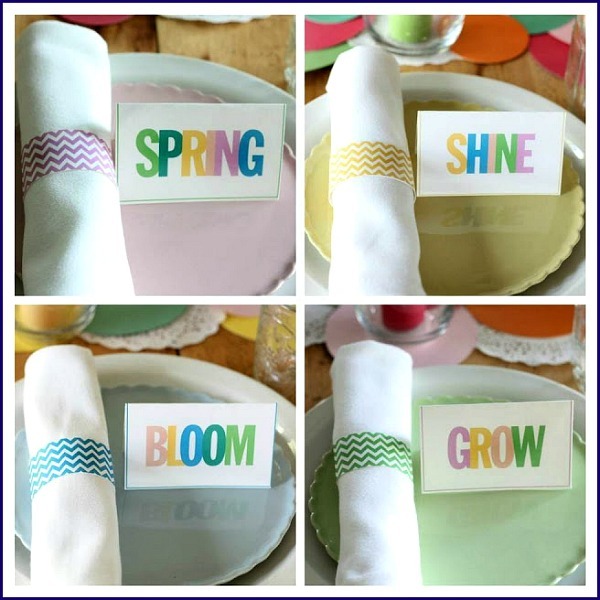 They are FREE for you to use in your Spring celebrations. Click HERE to download the printables, print from your home computer or save to a flashdrive and head to the office supply store and have them printed! Wouldn’t they be beautiful on an Easter Brunch table? I just love how fresh and clean they are! Now…let’s party! 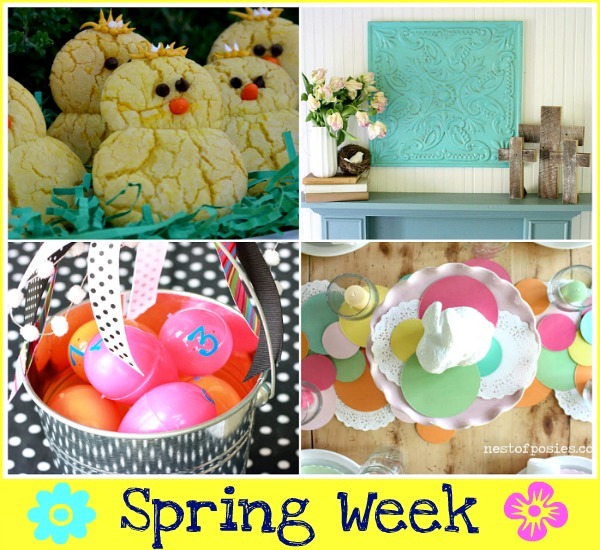 Add your Spring Ideas in the linky below and remember…they will show up on ALL 4 blogs! We also have a Pinterest Board for some of the ideas! Please add your ideas!! My daughter will go crazy over those chick cookies. Thanks for hosting! Thanks for hosting such a fun linky party – so much creativity in one spot!